Qatari nationals will not be allowed to board Qantas flights to Dubai because the United Arab Emirates has banned them from passing through its airports after Arab powers cut ties with Qatar, an executive at the Australian airline has said. Several Middle Eastern countries, including Saudi Arabia, Egypt and the United Arab Emirates, cut ties with the tiny Gulf state on Monday over what they say is Qatar's support for terrorism, a claim Qatar vehemently denies. Qatari nationals will now not be allowed to pass through airports in the UAE even to change planes. 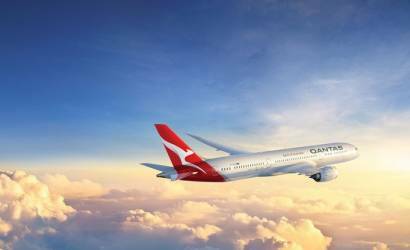 "UAE have banned Qatari nationals from transiting through UAE, so we're looking to see if that affects any passengers," Qantas Airways Ltd International Chief Executive Gareth Evans said. "If it does, we will offer them (route) alternatives," he told reporters on the sidelines of an airline industry meeting in Mexico. Saudi Arabia and Bahrain revoked the license of Qatar Airways on Tuesday and ordered its offices to be closed within 48 hours, a move that analysts said would cost the carrier millions of dollars of revenue.